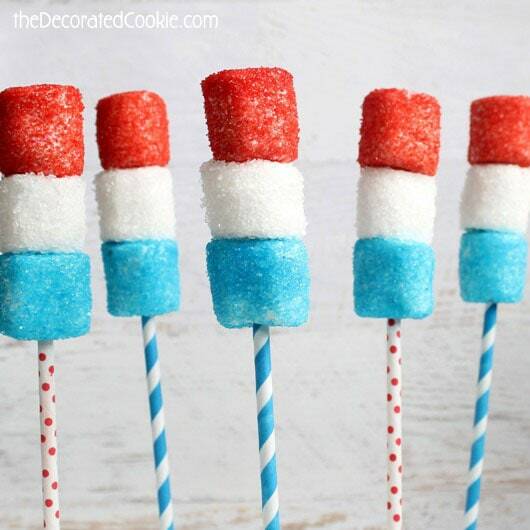 These red, white, and blue marshmallow pops are a fun and easy 4th of July dessert! Sprinkles and marshmallows. What’s not to love? 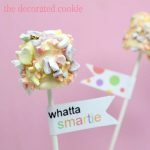 I love these easy, sparkly, colorful marshmallow pops for a 4th of July dessert! 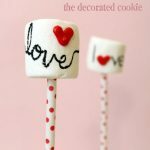 The sprinkles form a yummy, crunchy coating so the marshmallows stay nice and soft inside. 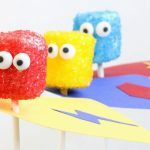 Remember way back when I told you how my red, white and blue sparkle marshmallow pops were in Bird’s Party Magazine? Yes, of course you do. You remember everything. (Side note, why is it I can’t remember what I did last weekend, but I can remember every episode of every ’80s sitcom ever?) Well, you can find the full tutorial I made for the magazine over at Bird’s Party blog. Need more easy 4th of July treats? Try these patriotic pretzel bites. 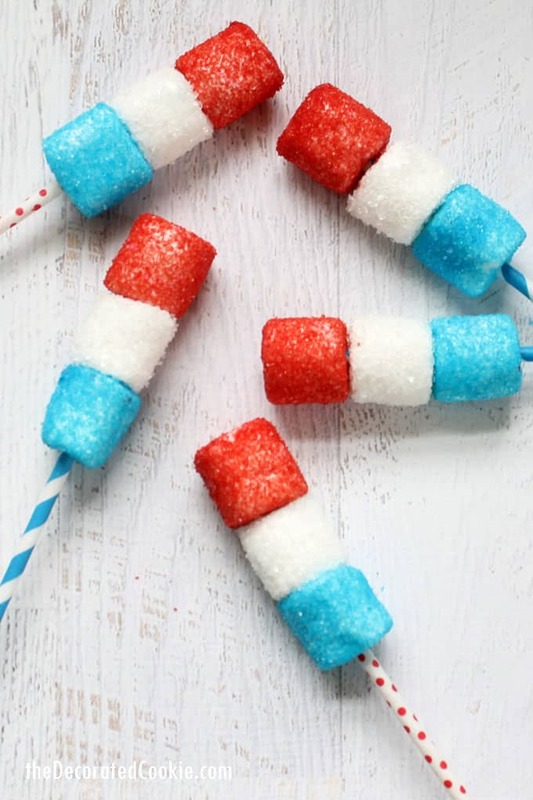 Or, check out these easy red, white, and blue candy pops. For a unique 4th of July idea, make these red and blue dried pineapple flowers to accent cakes, cupcakes, or drinks. how do you make 4th of July marshmallow pops? 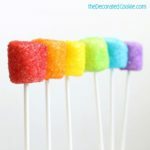 These are essentially just like my rainbow marshmallow pops. Skewer each marshmallow with a toothpick. 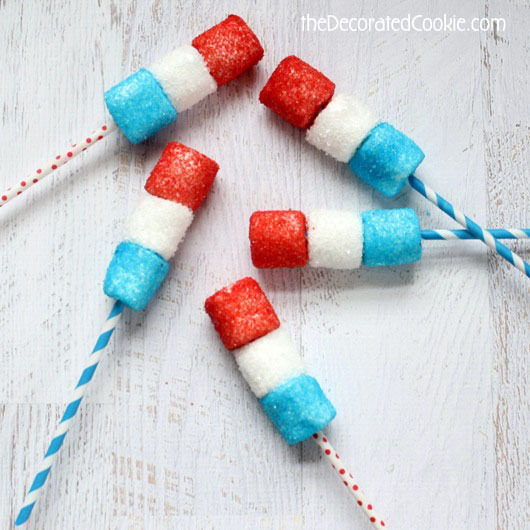 Dip each marshmallow in water quickly, then roll around in red, white or blue sprinkles and let dry. Then skewer on colorful straws or lollipop sticks. (TIP: Rub a bit of crisco on the straws or sticks first to make it easy to slide on the marshmallows.) Easy peasy!